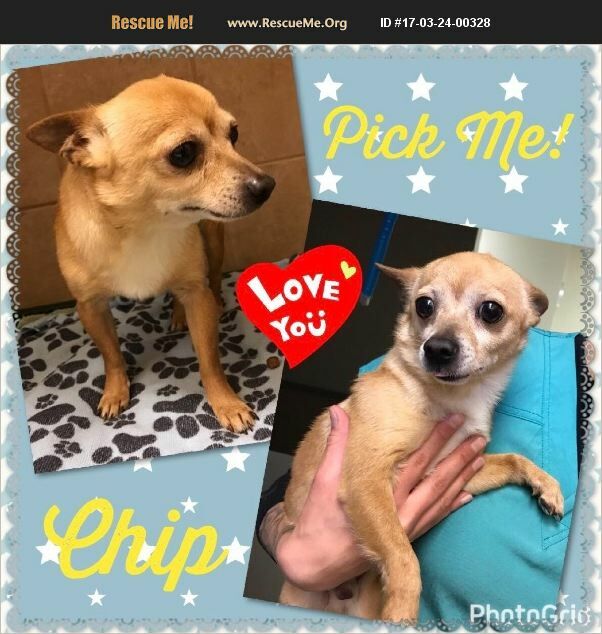 Chip is a handsome 2 year old, male Chihuahua. He's a small boy that is so sad without a human companion. He does well with other dogs and cats, but we don't recommend very young kids because Chip can get a little nervous. He is a snuggle bug, so incredibly handsome, and will be fully vetted. If you are looking for a buddy for life, Chip is your guy!